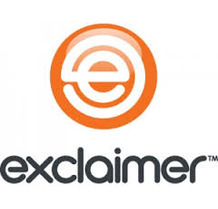 Founded in 2001, Exclaimer is the recognised global market leader in on-premises and cloud-based email signature solutions for Office 365, Microsoft Exchange and Outlook. It has over 50 million users worldwide with some companies holding licenses for over 100,000 users. Its diverse customer base includes renowned international organizations such as Sony, Mattel, 10 Downing Street, NBC, the Government of Canada, the BBC and many more organizations of all sectors and sizes.